Have you noticed a storm drain in front of your home or business, school, or house of worship? 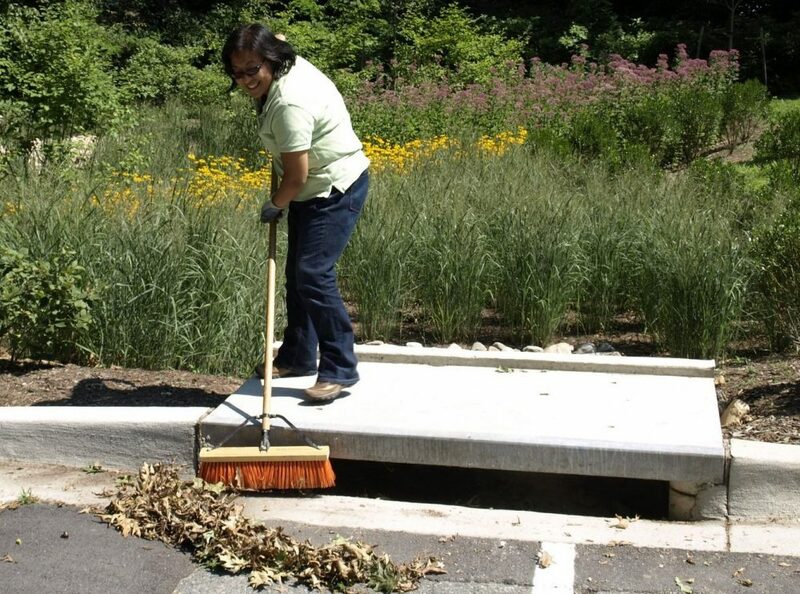 Keep a broom handy, and frequently sweep up leaves, trash, and sediment that is in front of your storm drain. Call 311 if you have a clogged storm drain that needs a vacuum truck. Don’t blow leaves or grass clippings into the street. Leave them on the ground and mulch mow them into small pieces for free fertilizer. Keep lids on your trash cans, and keep recycling below the level of the bin lid to keep it from blowing out. Anyone can do their part to keep our storm drains clean. 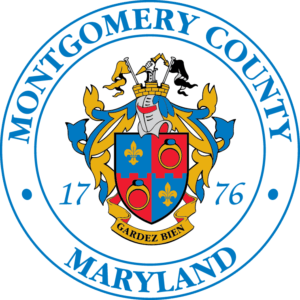 Did you know that we have over 63,000 storm drains along our public roads in Montgomery County, and thousands more on private roads or private parking lots? While our road and highway departments are responsible for the maintenance along roads, as neighbors we can help protect the health of our streams and the Chesapeake Bay by keeping them clean! Although 63,000 public storm drains sounds like a lot of work, that’s only one storm drain per every six households in Montgomery County, so it’s not asking a lot. Leaves, grass clippings, trash, and sediment that run into storm drains have a large impact on our waterways, as they contain nutrients like phosphorus and nitrogen that cause algae blooms, and heavy metals, petrochemicals, hydrocarbon, crumbling asphalt, and bacteria that are toxic to aquatic life and pollute our drinking water. Some storm drains gobble up 50-100 pounds of dry sediment, trash, and leaves per year if we don’t keep it out. Clogged drains also lead to flooding in roadways, or ice in the winter. Do your part to clean the nearest storm drain! Simple, right? 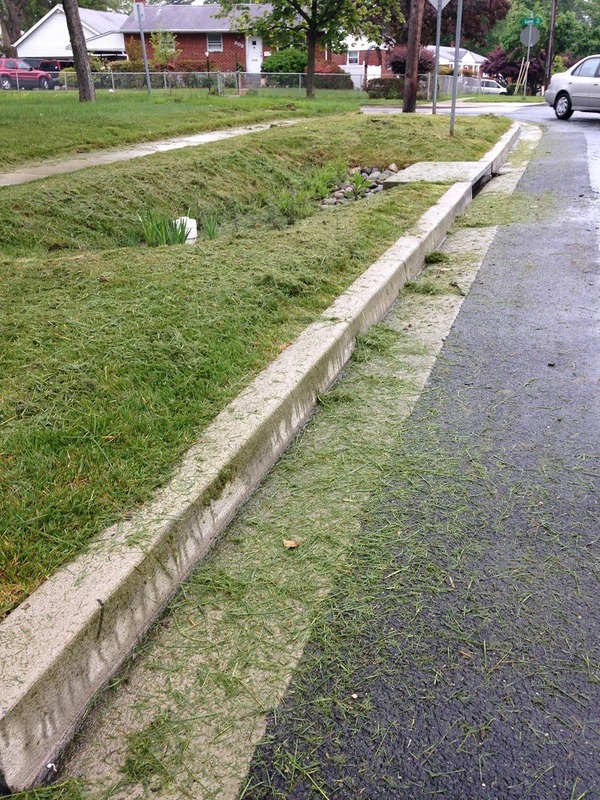 Grass clippings should be kept out of the street and storm drains–leave them on the grass instead.